How do you feel when you click on a link and end up with “404 page not found” error? Broken links are annoying, and they create bad user experience. On top of that, its bad for your website’s SEO. Specially if those broken links are internal links to your own site. This can happen, particularly when moving a site to new domain name. 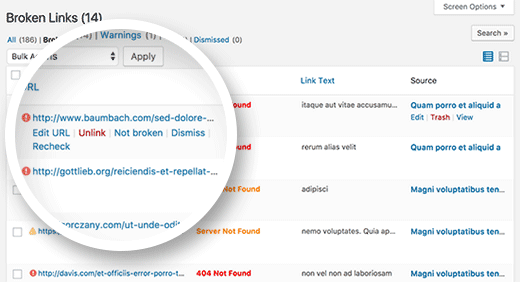 In this article, we will show you how to fix broken links in WordPress to improve your site’s SEO. First thing you need to do is install and activate the Broken Link Checker plugin. For more details, see our step by step guide on how to install a WordPress plugin. Upon activation, you need to visit Settings » Link Checker page. The plugin will automatically start looking for broken links on your website in the background. Depending on how much content you got on your site, it may take sometime to go through your posts and display the results. Once it is done, you will see a link with the number of broken links found on the same page. You can edit a URL right from broken links page, or you can edit the post they belong to. Alternately, you can also perform bulk actions like unlinking all broken links, fix redirects, mark as not broken, etc. Once you are done fixing the broken links, you need to deactivate and uninstall the plugin. 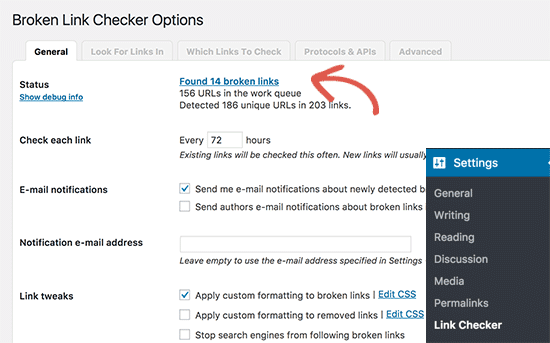 Broken Link Checker is a resource intensive plugin and using it to regularly check for broken links can slow down your website. We recommend checking for broken links once every six months. As your website grows older, you will realize that lots of old posts have links to external sites that don’t exist any more. By fixing those broken links you can improve user experience which will help reduce bounce rate and increase page views. 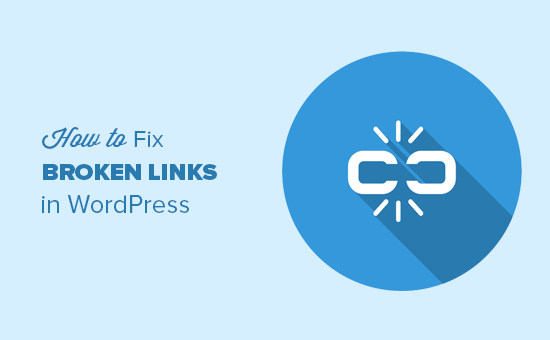 We hope this article helped you learn how to fix broken links in WordPress. You may also want to see our step by step ultimate WordPress SEO guide for beginners. I installed this plug in and it says no broken links detected. I cannot imagine that is accurate because the site is big and definitely has some broken links. Do I need to reconfigure something to get it to run accurately? Do you know how to bulk export broken links with this plug-in ? Or maybe, if you have one in stock, even a MySQL request could be used to export them within phpmyadmin. Can Yoast Seo handle the same function of the broken link checker? Well, I have just read that Yoast SEO has this function, too. It detects and corrects broken links, even directly from Google Console, if wanted, and with a easy button in tool bar, but only Premium version. So have to pay for it. I am wondering, if I can keep trusting you guys, seeing that you don’t answer to all questions here, and also how can you review a plugin when it is not updated for over a year??? In WP > install New Plugin > the thumbnail is even missing of this plugin. Thank you for your feedback, we are working on improving our answers to comments. For clarification, this article was updated in August, we will certainly look into updating articles such as this one as we find they need updates so thank you for letting us know that we should look into this article. One question: The best solution is unlinking or dismiss broken links? I’m pretty sure I already know the answer but I’ll ask anyway: This is just for self-hosted sites on WordPress.org, not WordPress.com, correct? Is there ANY way to check broken links on a WordPress.com blog? I am in the process of converting from Blogger and I have over 700 blog posts that ALL have internal links. In other words, a big pain. I suppose I’ll eventually have to manually fix them in any case, but seeing the broken links would give me a priority of which ones to fix first. Yes, this is for WordPress.org websites. We will suggest that you export your blog posts in XML format using the built in WordPress.com export tool. After that you can use an advanced text editor like Notepad++ or TextWrangler (for Mac), use simple search and replace tool in the editor to replace old blogger URLs with your WordPress.com URLs. After I activate that plugin I got error. The plugin generated 1690 characters of unexpected output during activation. If you notice “headers already sent” messages, problems with syndication feeds or other issues, try deactivating or removing this plugin. I use Link Cloaker and it seems that Broken Link Checker is not picking up the links that are not good because those bad links are directed to my homepage. I don’t want those links to be directed to my homepage. I want them to come up as broken so I can fix them. How can fix incoming broken back-links? You can fix that by performing a 301 redirection. So whenever such a link is access from another site, your site simply redirects the person to a new URL. I have tried this solution, but didnt work for me my website is thank you. Did you get an error? I was really able to solve my broken links through this article. Thanks to the author. Thanks! 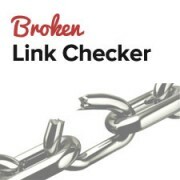 I’m running Broken Link Checker now to fix dozens of broken links on my site. My google organic search traffic plummeted this year after moving to a new domain…and wasn’t sure why. I think broken links is the reason (just realizing a lot of my old posts are busted). Has anyone had direct experience with improved google ranking SEO after fixing broken links? What was the before/after result? I’ve been using broken link checker for a while at this domain. After fixing them, seems fairly frequently, I need to do so again, say a few weeks after fixing a bunch. I do not recommend this plugin. It is a serious CPU hog that will slow down your site and possibly use up your CPU allocation. A number of host providers have banned it. If you want to check your links you are better off running an app from your computer to check run an external check. Yes it does and it is not recommended to use it too often. Just wondering if the plugin have some effect with the speed of the site. Does the plugin will slow the site? Very helpful advice, thank you. Now I know what to do with my broken links. Cheers! Is there any plugin available for the Blogger site?? None that we’re aware of. Broken Link Checker has been very handy for me – but what is that Green Tab (shown in this post’s last screenshot and is there any way to hide it? This is extremely confusing for clients and I find it even worse than sidebar ads. Any ideas on how to manage this? Thanks! Unfortunately, no way to get rid of it without editing the plugin (at least that is our understanding). You can always contact the plugin author and make a suggestion. What do you do if it tells you that some links are broken but they are not? I went to the pages and double checked the link and it works fine. Used BLC in the past. It’s good to use from time to time, but creates a lot of bloat in your database. That’s probably because of my massive post archive. STUN, did the same on my site…over 6,000 posts. However after running the WP-Optimize plugin, the database was nice and clean again. This will improve my work, a lot. “There’s another class of plugins that we disallow simply because they cause a high load on our servers or create an unnatural number of MySQL queries. On their hosting service it is a disallowed plugn! To track traffic in a more scalable manner, both the stats module in Automattic’s Jetpack plugin and Google Analytics work wonderfully. Yes Same here. I have VPS with 1.5GB RAM. This plugin slowdown my blog. You’re not suppose to keep the plugin on. Use it during your spring clean up (like every 6 months). Turn it on. Check if everything is good, and then delete it. I use Broken Link Checker and it is very useful. But why would you disable the plugin after using it the first time? I receive notifications every few days that the plugin has found a couple of more broken links. Usually, because when an a site I linked to has shut down, or the link has become corrupted or a blogger removed a post, — any number of reasons. It is not helpful for SEO — or to your visitors — when they click on a bad click. I believe Broken Link Checker should be active all the time. Thank you for letting us know about this great plugin! Started to use it on some website right away. I don’t understand why I should disable the plugin after initial use and wait 6 months to run it manually again. It appears to me that I can leave it Active, and it will check the links automatically every so many hours and send me a mail if it has found a broken link. Much better, isn’t it? Thanks in advance for your opinion on this. It is but running a script so many times particularly the one that keeps checking all your posts can be resource incentive on your website. I want to finish seeting up my .org site first, but as I’m moving from .com this will be a great tool! Thank you! I installed the Broken Link Checker plugin a few months ago and immediately following the installation my site crashed. I would love to have it but I am afraid to install it again. I had the same problem, I had to delete the plugin by FTP, because the rest of my screen was whit and it was nog possible to active or deactive it. Sad, because in my other site it worked well, both site are on the same server. You can temporarily switch to a default WordPress theme like twenty twelve and then activate the plugin. If it works you can then check for broken links, fix them, and then revert back to your own theme.